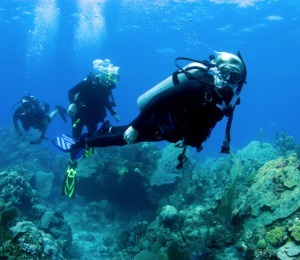 Our professional dive-masters will guide you to some of the best Scuba Diving sites off the leeward coast of Aruba. This Caribbean island offers divers a plethora of fantastic reef diving sites loaded with brilliantly colored hard and soft corals and multi-hued sponges. Scores of exotic marine species inhabit this region, especially tropical fish. But what makes Aruba a truly special Scuba Diving destination is the number of exciting wreck sites in the area. Our PADI-qualified dive staff will transport you to these amazing dive locations in a customized dive vessel. We take pride in maintaining our dive boats and Scuba equipment. 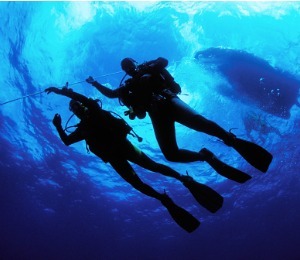 We are committed to supplying you and your family and friends with an enjoyable and safe diving excursion. 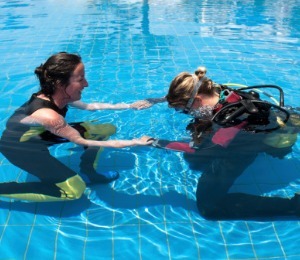 We cater to certified Scuba Divers at every level of expertise. Even non-certified divers can enjoy the remarkable waters off the shores of Aruba on a Discover Scuba course. Don't miss the chance to explore the Caribbean's best wreck diving sites off the shores of beautiful Aruba. Enjoy multiple diving locations on our Aruba Afternoon Dives and see the extensive reef systems that this area has to offer. This dive trip will take you to the best locations for diving and see the underwater sea wall that offers you a glimpse into a hidden underwater ecosystem. Our morning Aruba Dive trip features daily Scuba expeditions to the beautiful waters surrounding Aruba. This tour is for certified divers that want to Experience the crystal clear blue waters and see an abundance of marine wildlife including stingrays, nurse sharks, sea turtles, and dolphins that reside within the protected marine park.